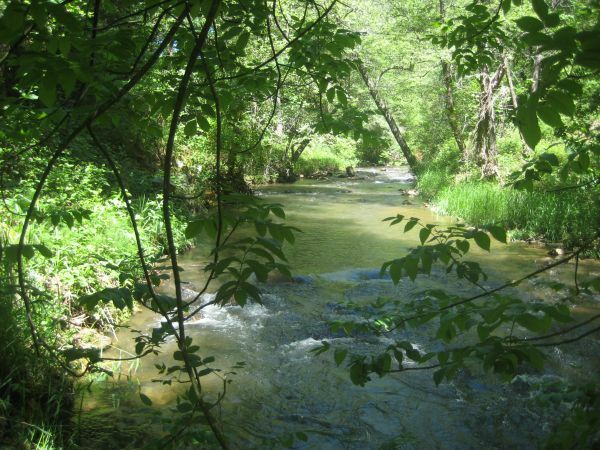 Conservation Values: Riparian corridor, forest lands and wildlife and plant habitat. This Easement is located along Wolf Creek just south of the Glenn Miller Mining Museum on Allison Ranch Road. The property provides critical habitat for native wildlife, including: Red-breasted nuthatch, California quail, mule deer, gray fox, raccoon, turkey, acorn woodpecker, spotted towhee, killdeer, kingfisher, and black phoebe. The property contains approximately one-half mile of Wolf Creek, a perennial stream within the Bear River Watershed, with a mixed conifer and hardwood overstory. Donated to Bear Yuba Land Trust in 2005, the land is owned by Newmont Mine.